Laura Callarman, adjunct professor in the Department of Bible, Missions and Ministry, and Rosten, housing navigator for Abilene Hope Haven, are in search of a simpler way to live. The day the vision was confirmed for three families seeking a different way to live came when a landowner changed his mind and decided to sell them the property they had their eye on. It wasn’t just that the landowner changed his mind. It was why he changed his mind that was affirming, said Rosten Callarman (’12), one of the people involved. “He just felt God releasing the land from him,” Rosten said. Rosten and Laura (Beall ’13) Callarman, with their two children, comprise one of the families involved in creating the Eden Community, located on 92 acres near the mesas of Callahan County, southeast of Abilene. God was at the center of their vision from the beginning and it was affirming to hear that he was at the heart of the land transaction, too. So far, no humans live in the Eden Community, but that will change once houses are built. A retreat center is scheduled to be built this summer. Even when the community is occupied, its human footprint will be minimal, with an emphasis on being eco-friendly. “Sustainability is what we’re going for,” Rosten said. Both Laura and Rosten have deep ties to Abilene Christian University. 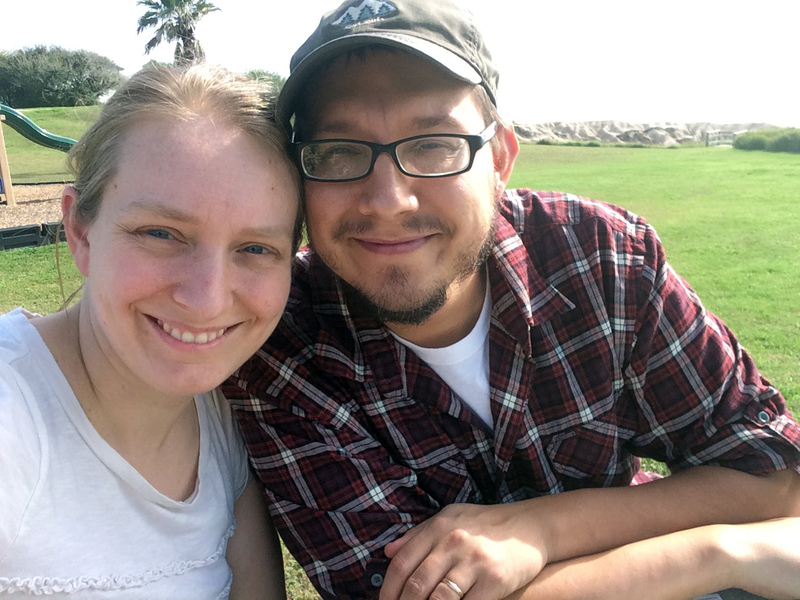 Laura earned a Master of Divinity in missions degree from ACU in 2013 and is working on a Doctor of Ministry degree. Rosten earned a Master of Christian Ministry degree in 2012. Laura is an adjunct professor in the Department of Bible, Missions and Ministry. Rosten’s full-time job is housing navigator for Abilene Hope Haven. “It’s literally my job to find housing for homeless people,” Rosten said. Laura and Rosten have long had an interest in being part of an intentional community. That interest was furthered one day when they were walking in the College Heights neighborhood and came upon the old St. Ann Hospital, which had been vacant for years. “What could this place be?” Laura wondered. They prayed over it and dreamed about it for several years. Then Highland Church of Christ purchased the property and now is in the process of transforming it into St. Ann Place, a residence for the homeless. That was about five years ago. A search for the location began, and in 2015 the land in south Callahan County was selected – after the landowner agreed. Eden Community is designed for people who want a different lifestyle from the norm. To date, five families including the Callarmans, are invested in the Eden Community. They range in age from retirees to the Callarmans’ 8-month-old daughter. They also have a 3-year-old son. For now, the Eden Community consists of 10 adults, one teen, two pre-teens and five young children. The community will function under a system of dynamic governance, which Rosten said involves experiment and re-evaluation. It is not a top-down form of governance, but more of a group effort. Someone will come up with a proposal, and the question will be, “Is this good enough for now?” If consent is given, that proposal will be the norm until, or unless, something better is proposed. The Eden Community is a part of the Fellowship For Intentional Community and is similar to The Simple Way in Philadelphia. Laura described the concept and lifestyle as being Quaker-influenced. The Eden Community eventually will consist of small houses for a few families, a shared communal space, plenty of open area for hiking and enjoying nature, acreage dedicated to livestock and crops, and a retreat center. Both Laura and Rosten come from Church of Christ backgrounds and are part of a house church in Abilene. Rosten grew up on the Texas coast and Laura is from Arkansas. She earned a bachelor’s degree from the University of Arkansas in 2007 in history and European studies. The move toward ministry was gradual. Rosten gets his name from his grandfather, who was a minister. It’s a heritage of which Rosten is proud. His grandfather walked away from a job opportunity in the 1960s in the South. The church was segregated, which did not appeal to Rosten’s grandfather. His judgment was swift and to the point. “I’m not going to preach if white people have their spot and black people have their spot,” he said. Inclusion was more important to him, Rosten said, than the job. Rosten inherited that trait, too, along with his grandfather’s name. His grandfather left the job opportunity not knowing where the next one would come from. Rosten and Laura don’t have to worry about a job, but what they and their friends are undertaking still has its uncertainties. It’s a different model, with a different lifestyle. They aren’t worried. They are visionaries guided by their belief in themselves, their friends and their God. “We’re doing this a lot by faith,” Rosten said.